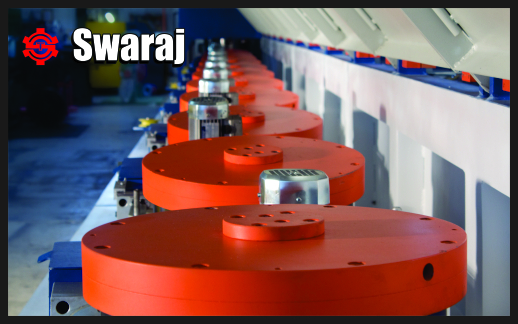 Swaraj Technocrafts Pvt. Ltd. is a renowned company in the field of equipment building for Wire Industry in Central India, known for Quality and the latest technology with compact design, which represents the next generation of Wire Drawing Machine and auxiliary equipments. The company is situated in central India’s biggest industrial area, Pithampur, also known as Detroit of India. It is an ISO 9001-2008 certified company with certification from TUV Nord in year 2006 and is also having accreditation for CE Marking from Underwriters Laboratory (UL) and TUV Nord. The company has a full fleet of qualified technicians and fully equipped with machines, instruments and equipments required for a machine building shop and is engaged in designing and manufacturing of all type and range of equipments and its auxiliary required for wire drawing industries. The technical team of the company consists of renowned and highly experienced technocrats.M/s Swaraj Technocrafts Pvt. Ltd. has a well equipped design and development facility. All activity of design and development, manufacturing, quality assurance is looked after by skilled and experienced engineers. The factory is well connected with road and no difficulty in being faced in smooth transportation of raw and finished goods. By practicing the latest manufacturing method and adopting the most advance management strategies to become the leading and most preferred machinery brand in the wire industry. To manufacture and supply world class machinery at competitive price and to provide excellent services to the customers. To develop a culture of continuous improvement and strive for excellence. To ensure and enhance a healthy and safe working environment for man and machinery in the company. Machines offered are of European Quality machines meeting CE standards. Machines are designed with a motive of high performance, low and easy maintenance with long life the machining components. 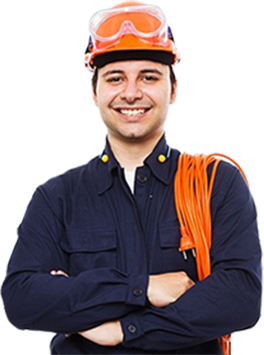 Machines are designed to provide highest degree of safety to workman and workplace. All components are well finished as per quality assurance plan and are complying with engineering standards.